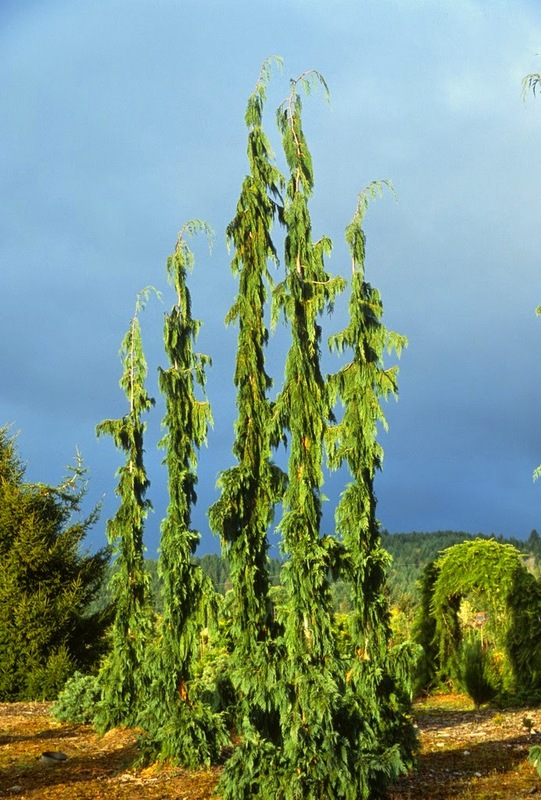 A blog or two ago I showed a photo of me standing next to Acer palmatum 'Fairy Hair', but I neglected to brag that it was the tallest (and largest) specimen in the world. 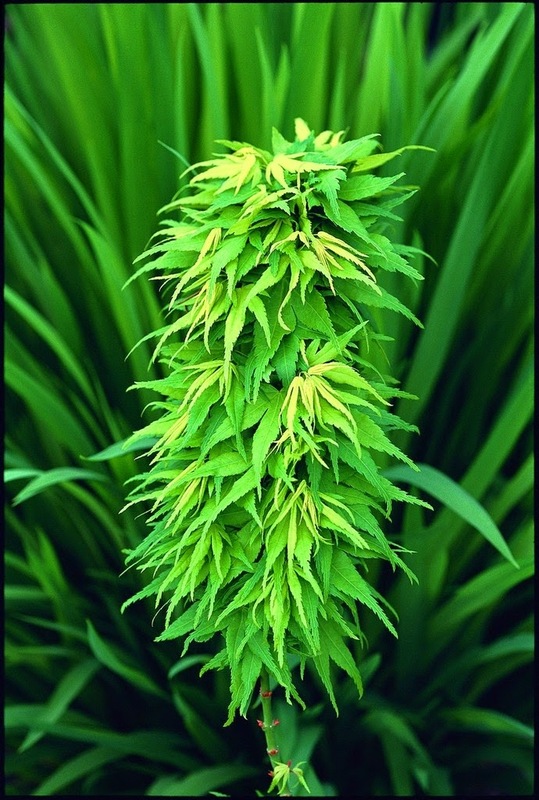 In one sense, that is no big deal, because if you discover and introduce a cultivar you'll likely keep the original, and you have many years head start...so no one can catch up to you. 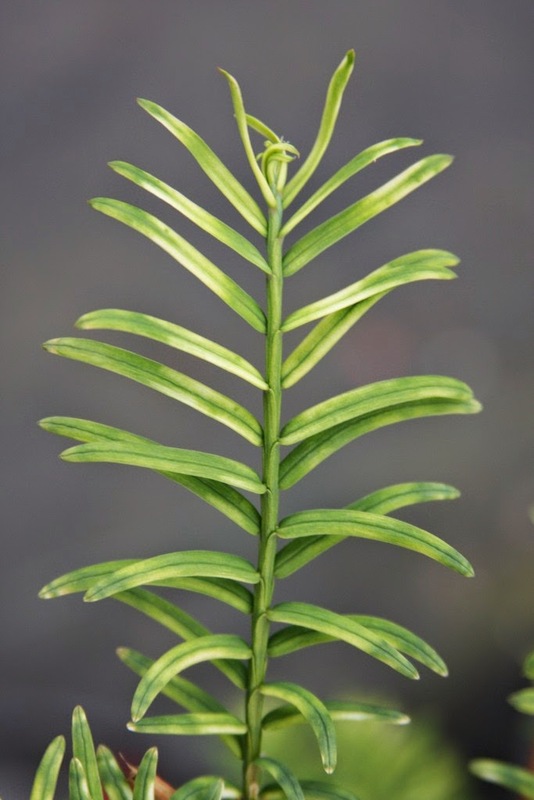 But actually this 'Fairy Hair' is not the original seedling; it is one of the first two grafts from the original seedling. That is very common, where progeny from a selection, grafted onto vigorous rootstock, will outgain the original seedling. 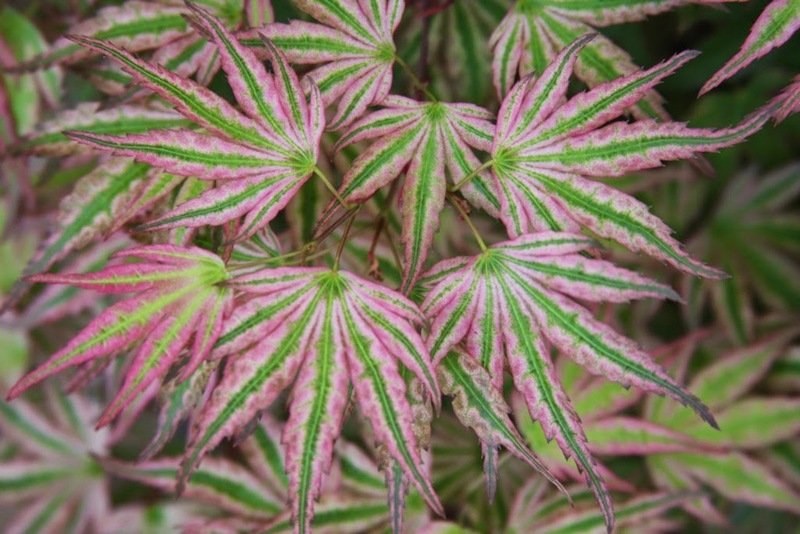 For example I have sold Acer palmatum 'Purple Ghosts' that were larger, at only two-thirds the age of the original. I was sorry to see my 'Fairy Hair' “mother” go, but it was bought by an ex-hockey player/car-dealership owner who won me over with his love for maples, and hopefully it is doing well in his New Jersey garden. 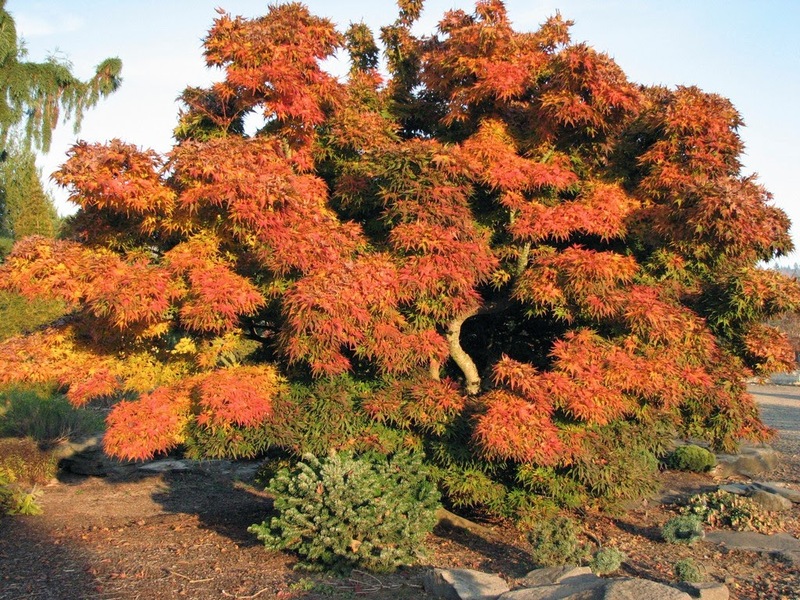 Near to this 'Fairy Hair' is the largest Acer palmatum 'Mikawa yatsubusa' that I have ever seen, but that certainly doesn't make it the “largest in the world.” I have frequently alluded to its size – 14' tall by 16' wide – in hopes that someone will declare: “Nope! At [somewhere] there is one 20' by 20',” and even if it is in Japan I would immediately set off on a pilgrimage. 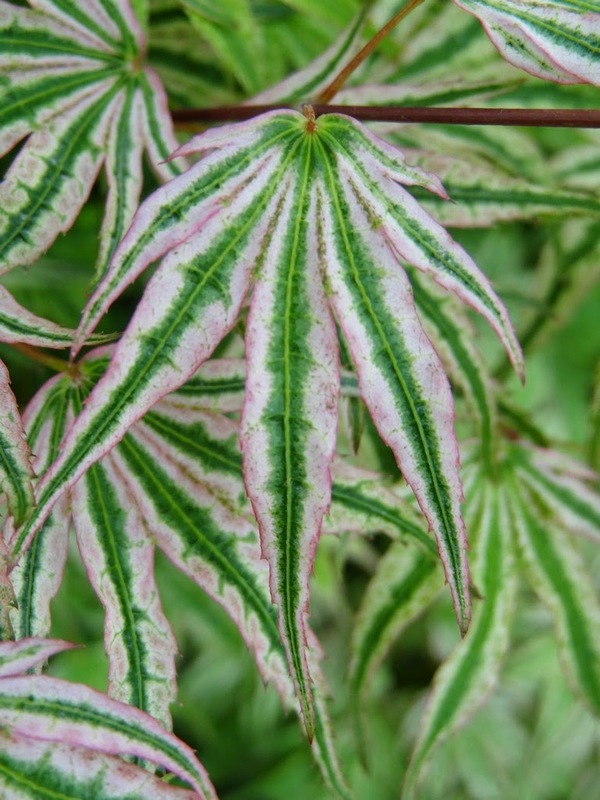 I've never grown an Acer palmatum 'Tokyo yatsubusa' over 10' tall by 10' wide, because I always sell them before they achieve that size. But if I would have kept one from early-on, I estimate that it would be 10-by-10 (in my Oregon) by now. 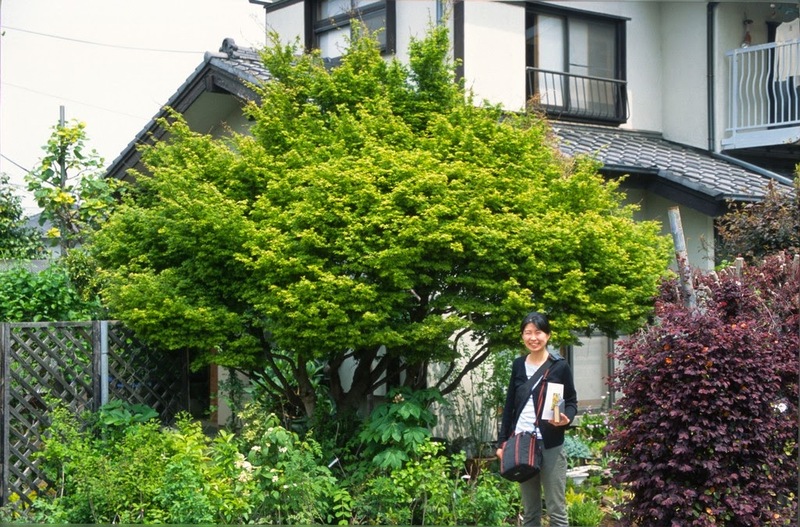 Imagine how astounded I was when I saw it in Japan planted next to a house, as it was 1 ½ stories tall! A lot was lost in translation on that trip, but I believe that I was being shown the original seedling, and remember that the selection-hobby has been going on in Japan since the 1700's. And damn that pesky WWII situation that caused the loss of many of the original Japanese cultivariants. Maybe this blog should have been entitled “The Short Road,” for there are many “biggies” planted in this section at Buchholz Nursery. 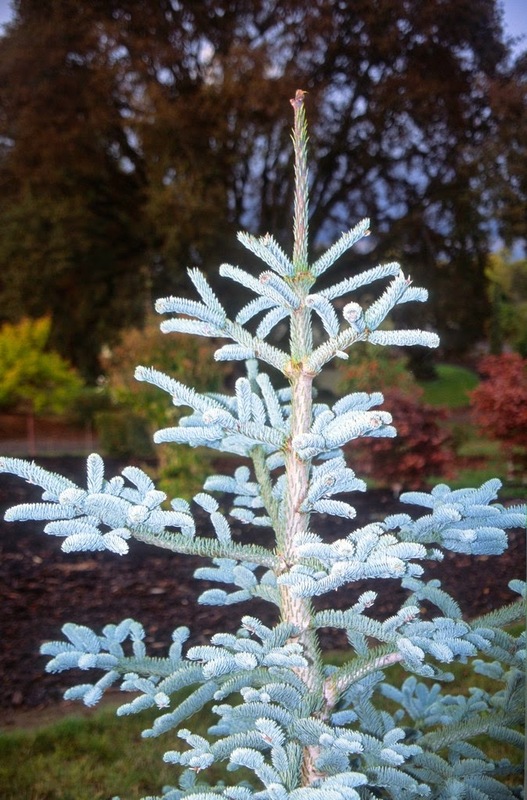 The tallest specimen of Chamaecyparis nootkatensis 'Sparkling Arrow' is here, but the oldest – the first graft – is growing in a nearby field. 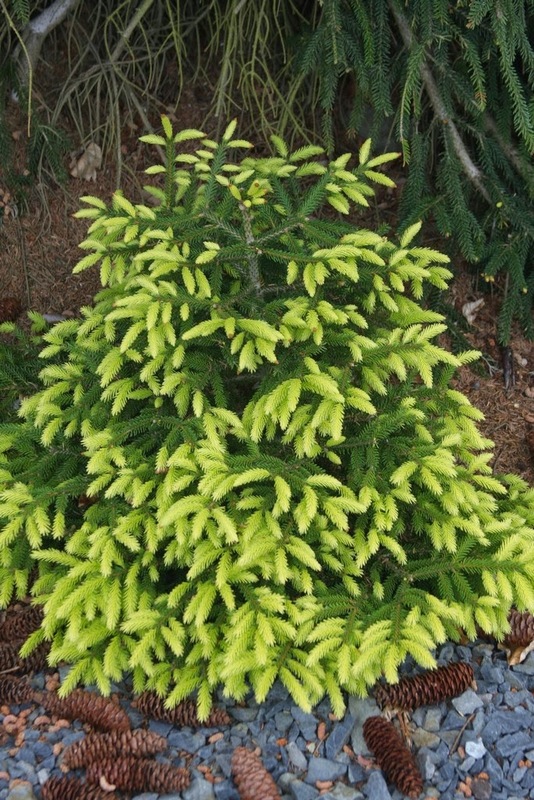 The solo variegated shoot on a Chamaecyparis nootkatensis 'Green Arrow' was removed and propagated just a few months before I sold the old host. It turned out to be “stable,” which usually doesn't occur, where the cream-white and the typical blue-green exist in harmony without one dominating the other, kind of like in a happy marriage. 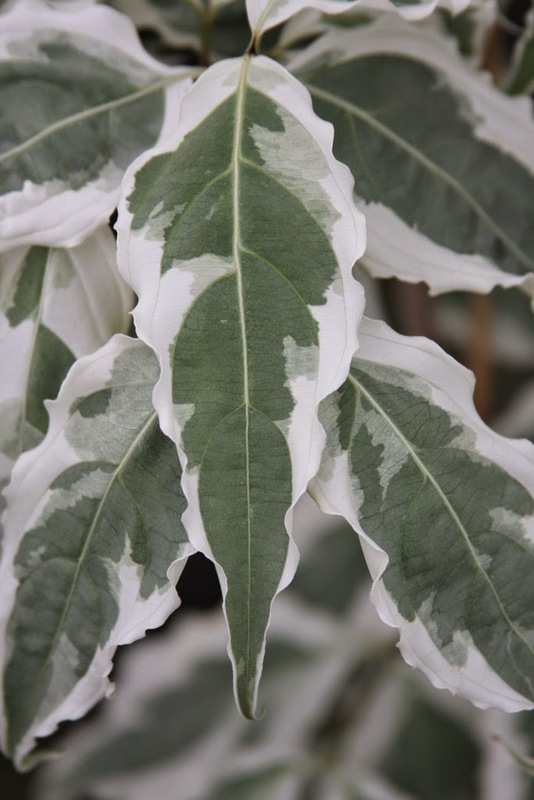 How I wish that the late Gordon Bentham, the plantsman who discovered and named 'Green Arrow', could have lived to see my variegated offshoot. What I remember the most about the short pudgy Canadian nurseryman was his sincere enthusiasm for plants, and the twinkle in his eyes when he talked about them. I keep fond memories of these old geezers, now departed, for I will (too soon) join them at the end of the trail, and that's why the younger generation of tree-lovers is so inspiring to be around. 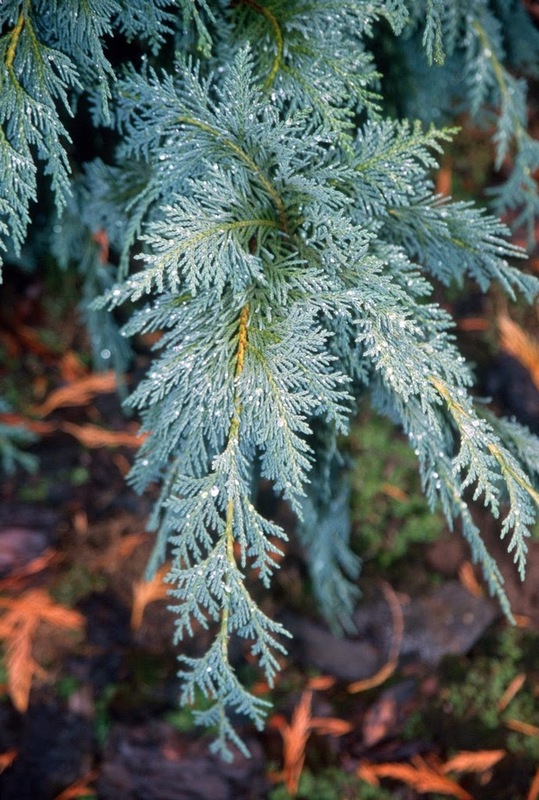 While I'm at it, I suppose my Chamaecyparis nootkatensis 'Green Arrows' are the largest in the world. I had met Mr. Bentham before he procured scions of what he would name 'Green Arrow', and he gushed about its landscape potential. 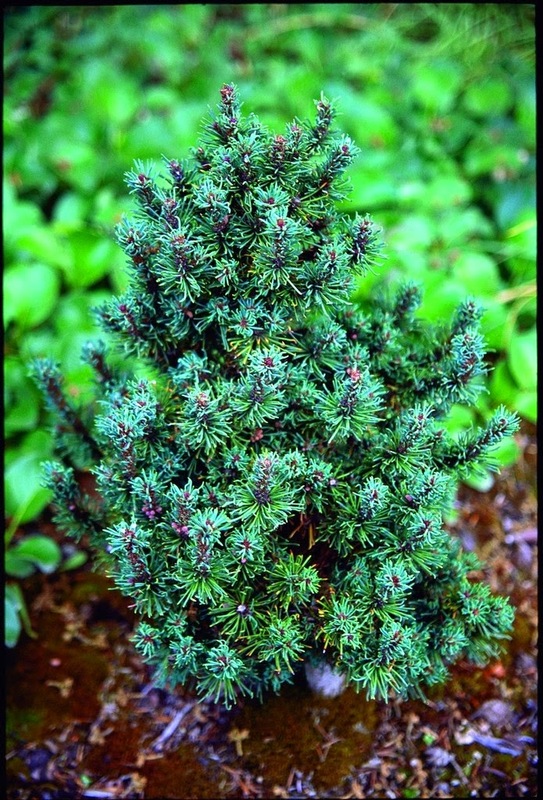 Since the tree was on Canadian government land he was denied permission to harmlessly harvest a few branchlets. Fortunately Bentham did anyway, and the entire world is better off for it. 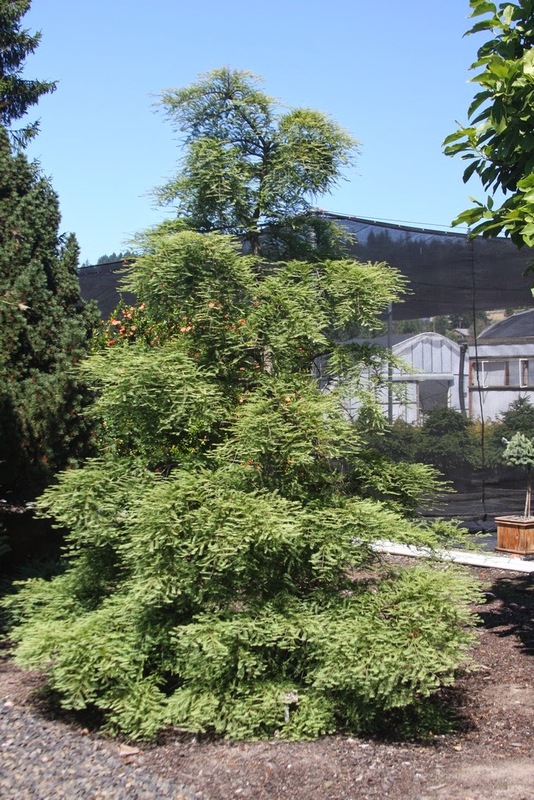 Two years past his original grafts the nursery he worked for (in Victoria, BC) went bankrupt, and also Mr. Bentham passed away. The nursery was being cared for by a Danish intern, all by himself. 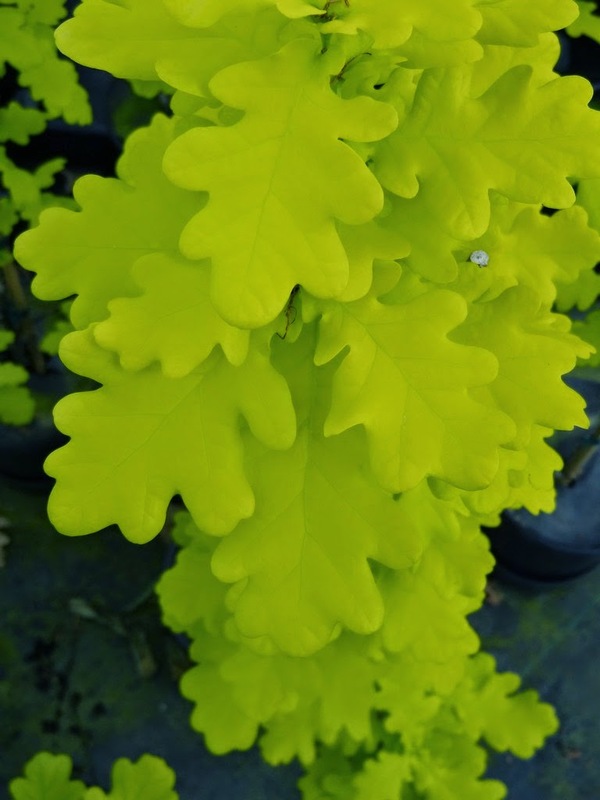 When I showed up I was thrilled to discover about fifteen plants labelled 'Green Arrow'. I asked if I could buy them (with cash) but was told no...then later, “Well, ok.” I gleefully returned to the States with my plunder – yes, legally with a Canadian phytosanitary certificate – and began to propagate the hell out of it a few years later. 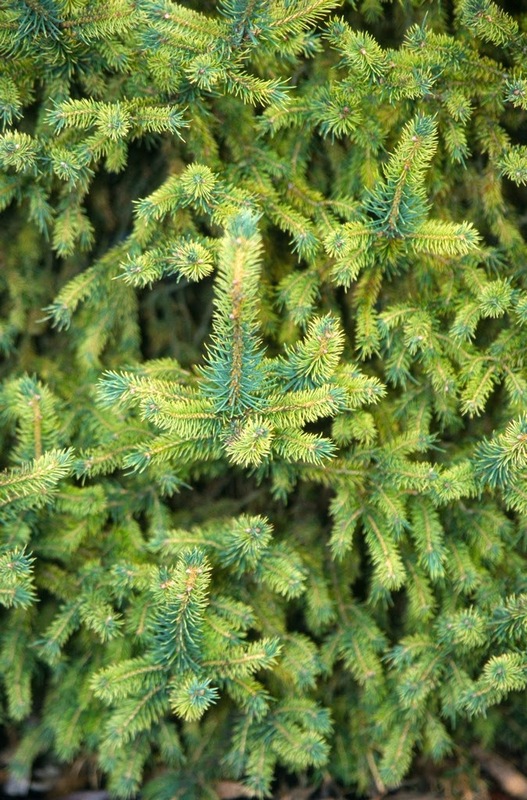 We have propagated a modest number of 'Green Arrow' this winter, but the market isn't what it once was. 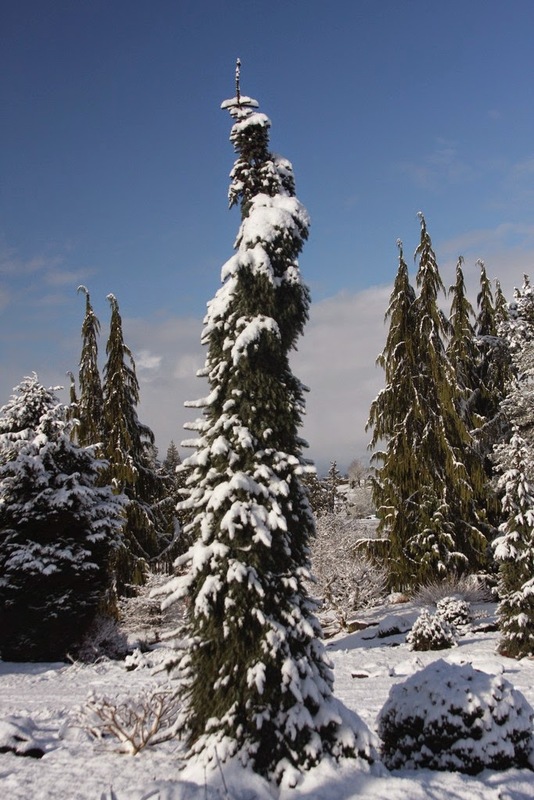 In 2010 I visited a Seattle area nursery who had bought from me previously. They had a number of 'Green Arrow' at 7-8' in size for sale at a retail price less than my wholesale price, and they had a concrete 2.5% markup on all plants. 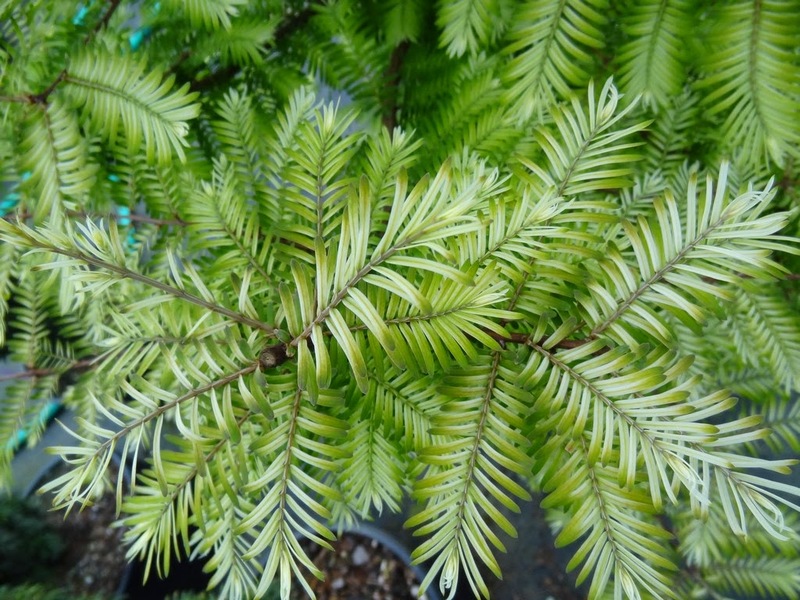 They came from a nursery I had never heard of before, and the quality was good, as anyone can grow a good-looking 'Green Arrow'. Interestingly, both the wholesale supplier and their retail customer are now both bankrupt. 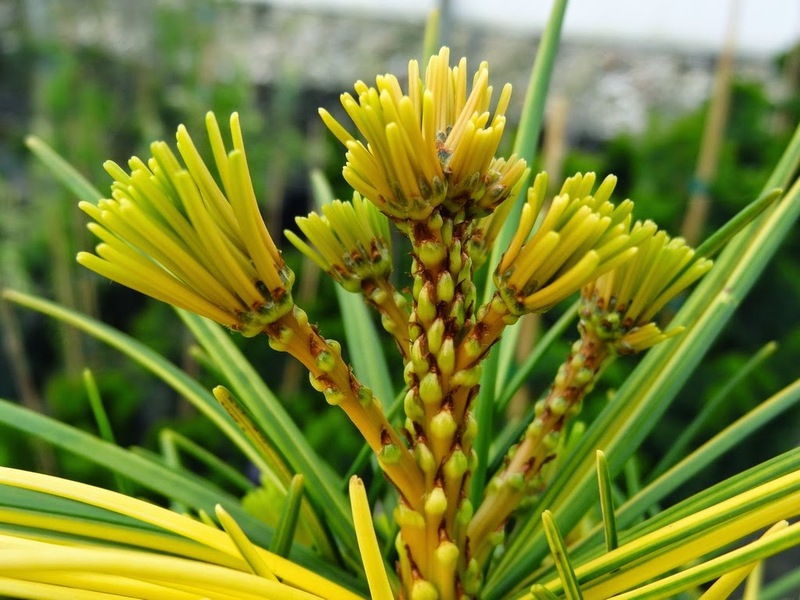 The Short-Road section also contains the original – the world's largest – Pinus bungeana 'Temple Gem' which I raised thirty years ago. 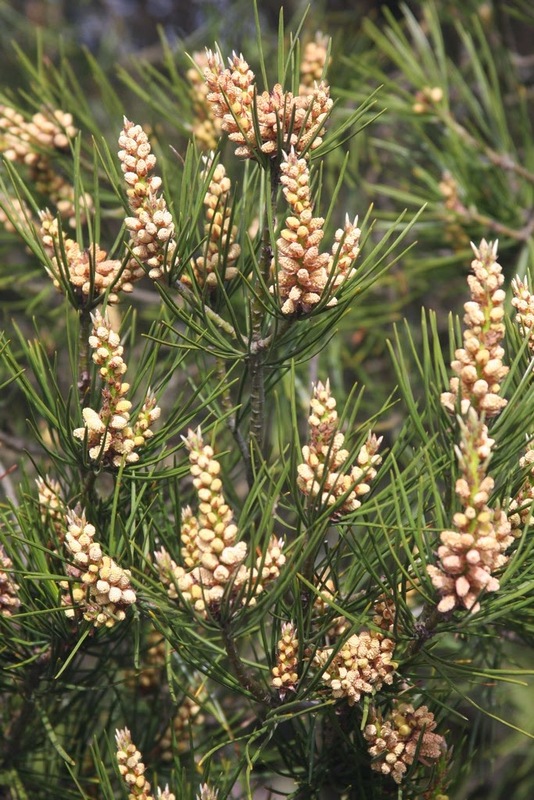 And again...of course an early graft onto a vigorous Pinus strobus rootstock will eventually overtake it in size. 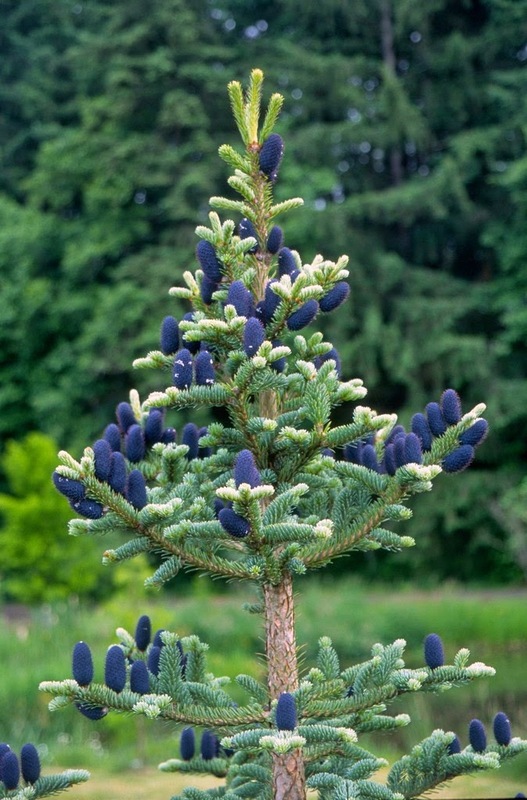 Early in my career I was able to obtain seed from many coniferous species, and in my dumb beginners-luck stage, nearly everything germinated. 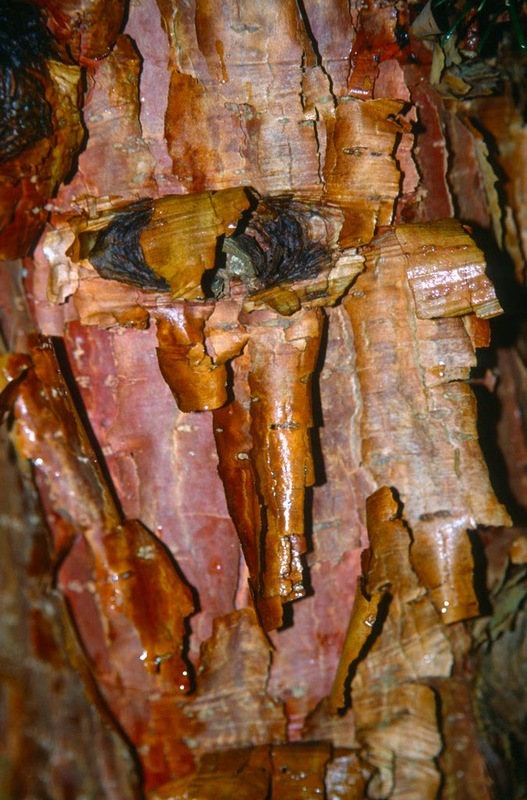 'Temple Gem' grew about one-quarter the rate of the type, but still displayed the famous “lace-bark” trunk characteristics. 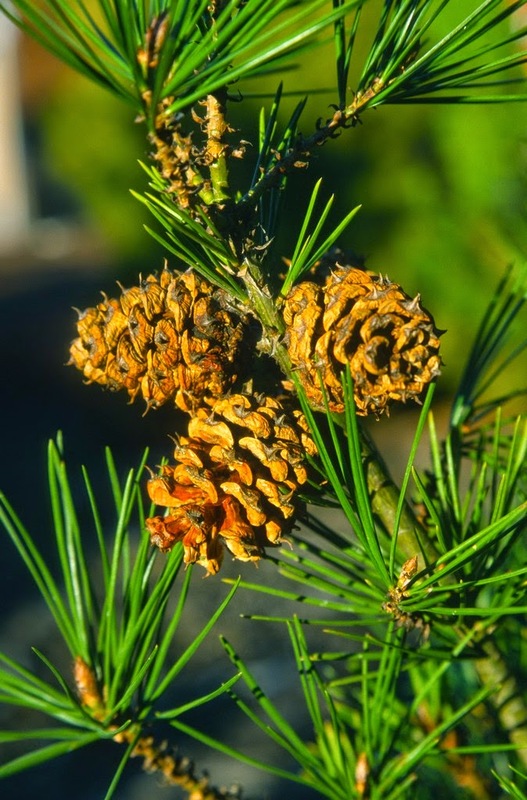 It is broadly-pyramidal, unlike the round crown of the species, and so far it has never suffered from branch breakage from snow loads or ice storms. 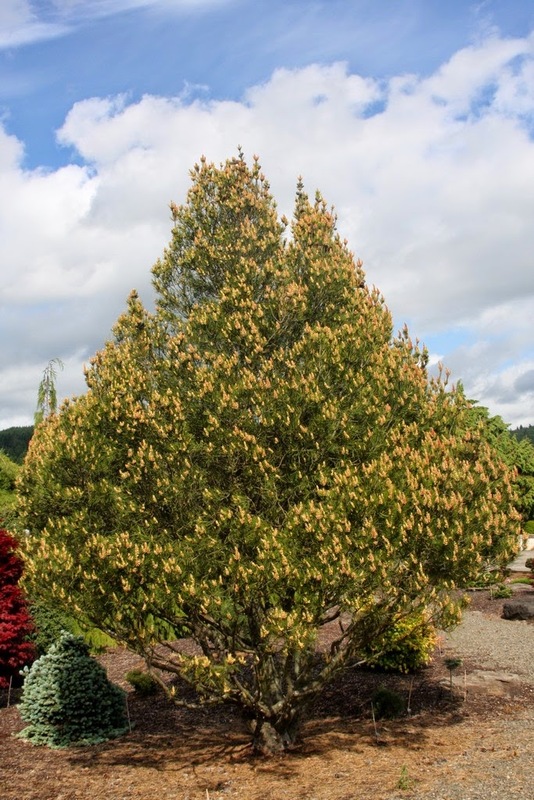 Make no mistake: due to 'Temple Gem's' slow rate of growth, a ten-year-old tree will grow to only six feet tall, and good luck getting more than $80.00 (wholesale) for it. Imagine my surprise (and pride) when I noticed a compact 'Temple Gem' at the University of Tennessee's botanical garden, for I didn't give it to them and I don't know who did. 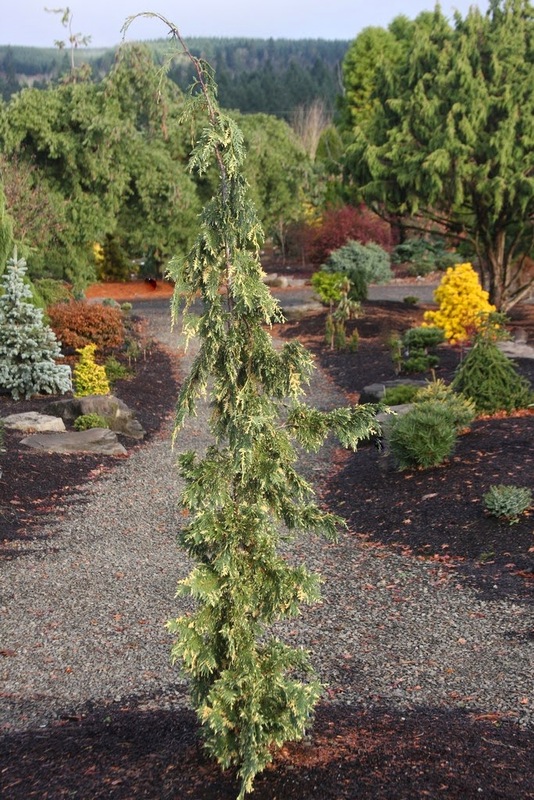 Also: my largest Picea omorika 'Golden Midget' is planted in same said section. It is not so big – at about 30” tall by 30” wide – but still it is the largest in the world. 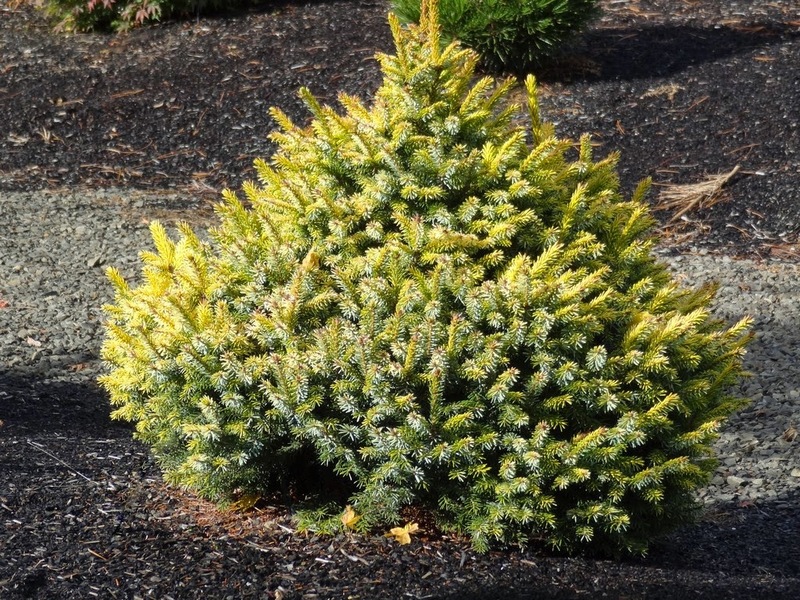 'Golden Midget' must compete with Piet Vergeldt's 'Peve Tijn', which was found as a sport on a Picea omorika 'Nana' at the proprietor's nursery in Lottum, The Netherlands. Neither are overly golden, as they would certainly burn in my climate, but still I wish that my selection would reign superior. Alas, it doesn't, and the two clones appear identical for me, in a trial where I planted them side-by-side. 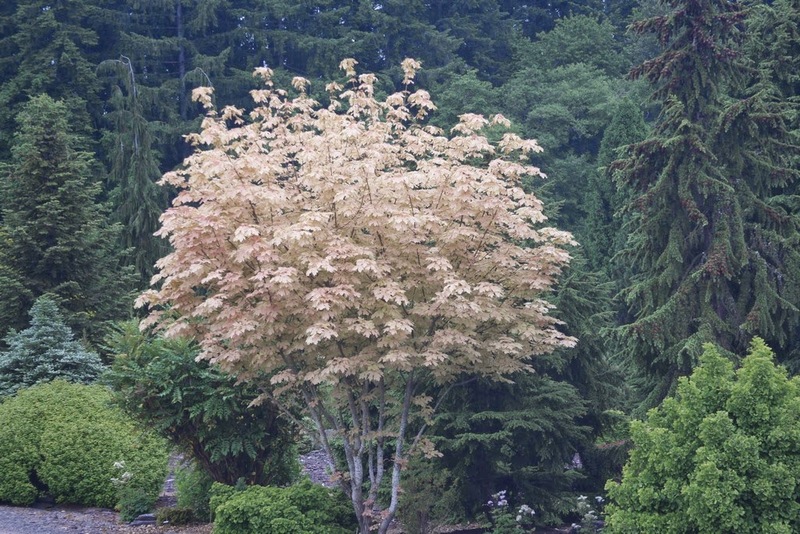 Acer macrophyllum 'Mocha Rose', the original seedling, is planted next to some 45-year-old Tsuga mertensiana. 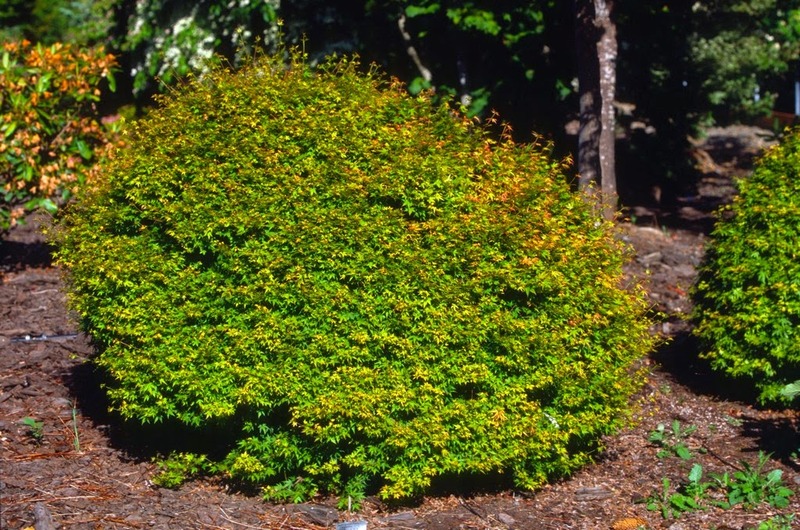 Though 'Mocha Rose' grows at only one-third the rate of the macrophyllum species, I've already had to prune its sides to keep it from damaging the “Mountain Hemlocks.” I value both equally, so I'm sorry I jammed too much into a tiny space. I really should have moved the maple seven or eight years ago when our crew could have handled it, but it is beyond us now. 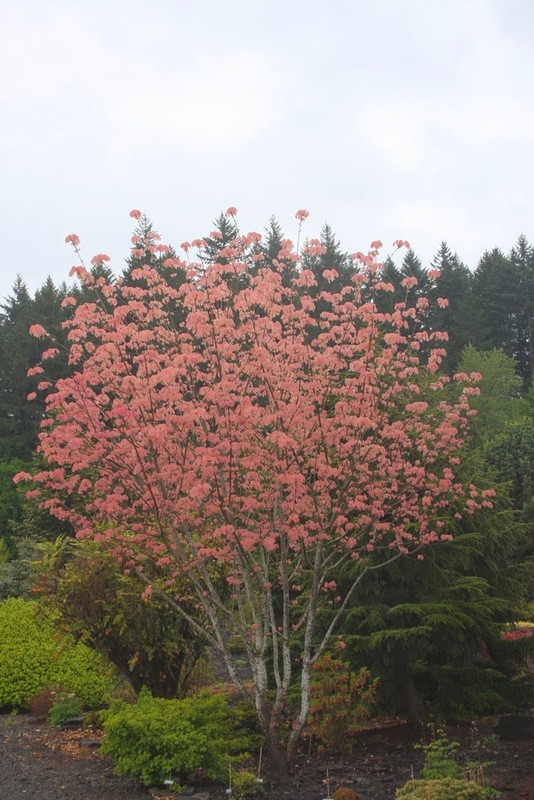 'Mocha Rose' really was a fantastic selection, but any idiot – who's into plants – could have picked out the shrimp-pink seedling from a batch of otherwise green trees. Harriette Hatch, wife of my “grandfather” Reuben Hatch, named it when I asked her what I should call it, and I liked the sound of 'Mocha Rose'. It would have been more appropriate to name it “Rose Mocha,” however, since the “rose” color of spring appears before the “mocha” coloration of summer. These unusual, yet appealing colors keep it pint-sized compared to the type, thankfully. 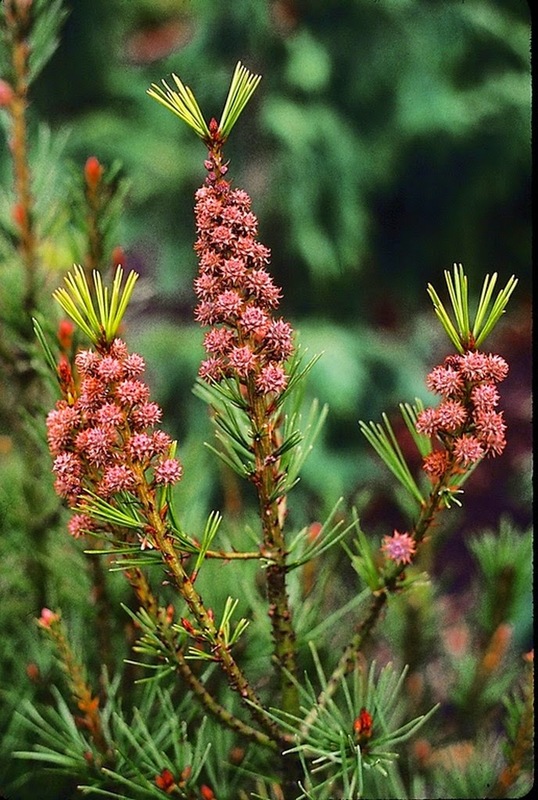 A few times I've seen truck drivers, from our nearby loading dock, get out of their rigs to inspect 'Mocha Rose'; and generally speaking these professionals dislike leaving their smelly cabins for any purpose, let alone a tree. 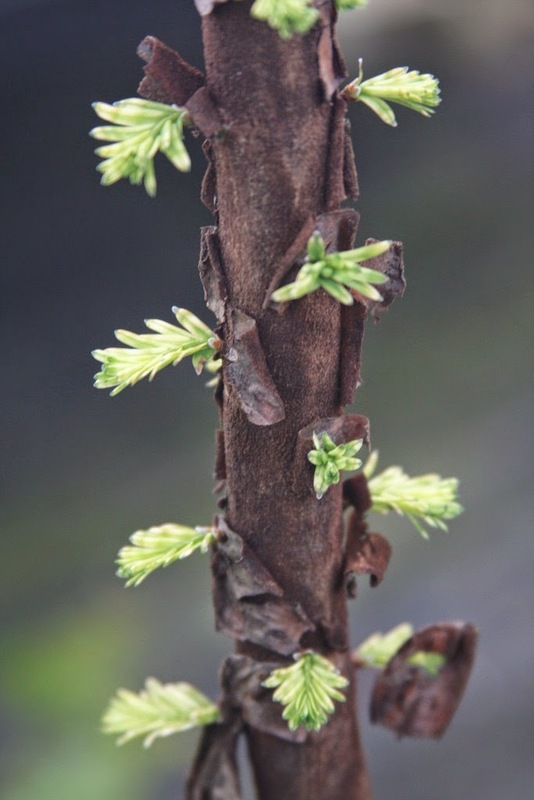 I'm sure that my Metasequoia glyptostroboides 'Lightning' is the largest in the world because only two people in the world have it: myself and Nelis Kools in Holland. Many ask for it, and I could propagate at least 500 per year if I wanted, but I'm taking a slow-approach and using some discretion for a change. If it doesn't perform well out in the landscape I may dump the lot and never sell a one. I'll give my first plantings another two or three years before I decide what to do; but note that I went ahead and named it anyway. I have defended that position a number of times in the past so I won't go into it again. So why did Kools in Holland get 'Lightning', and nobody else? Because he gave me Metasequoias 'North Light', 'Silhouette', 'Kools Gold' and much much more, so I was far ahead of the curve for selling these in America. 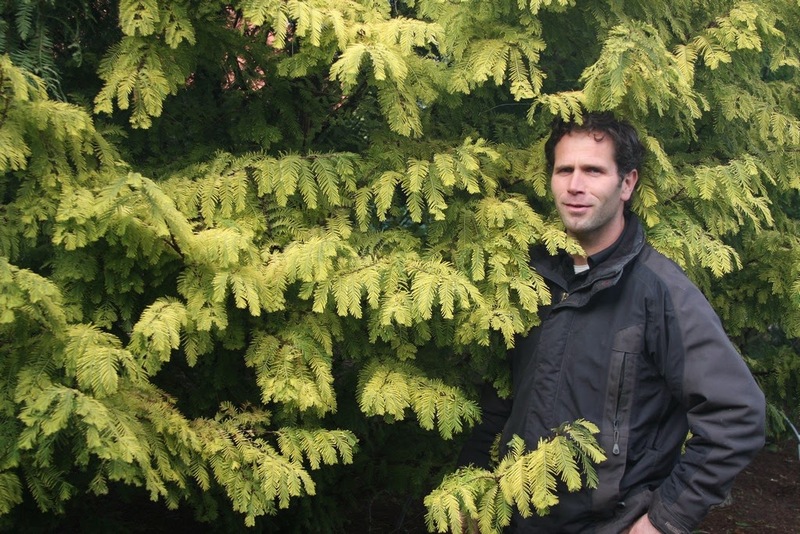 Besides he holds the Dutch national collection for Metasequoia, Sequoia and Sequoiadendron; and he's the most square – in the good sense – plantsman I've ever met from Europe. 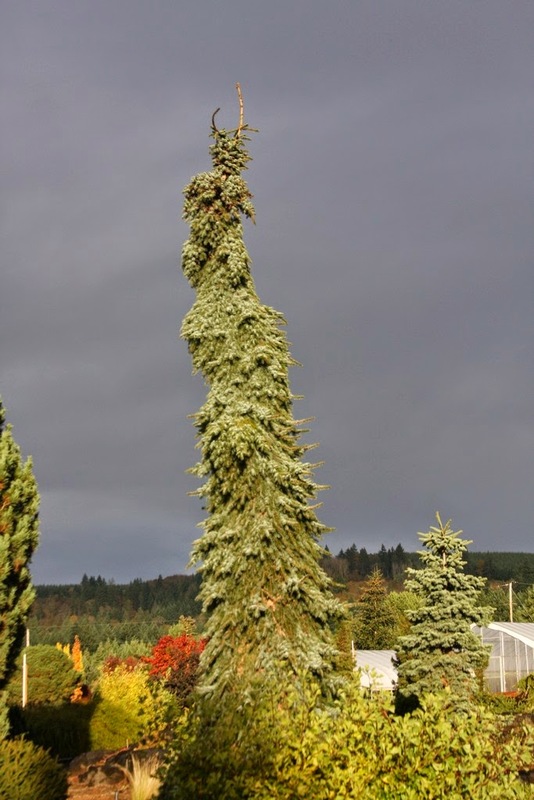 I'm not sure if my Picea omorika 'Pendula Bruns' is the tallest in the world – I think that Germany would most likely have the champion – but I might have the tallest in America. 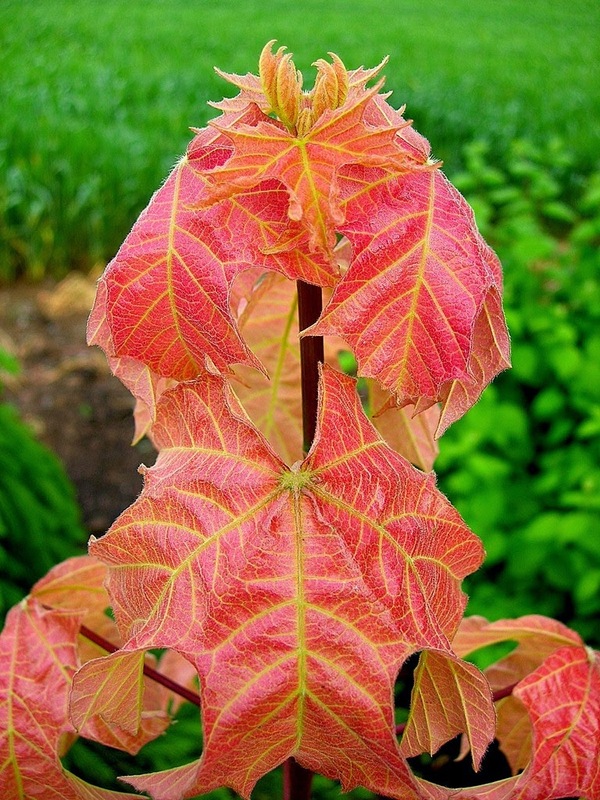 I received my start from a German professor of horticulture who sent me a number of fantastic plants in the mid 1980's. 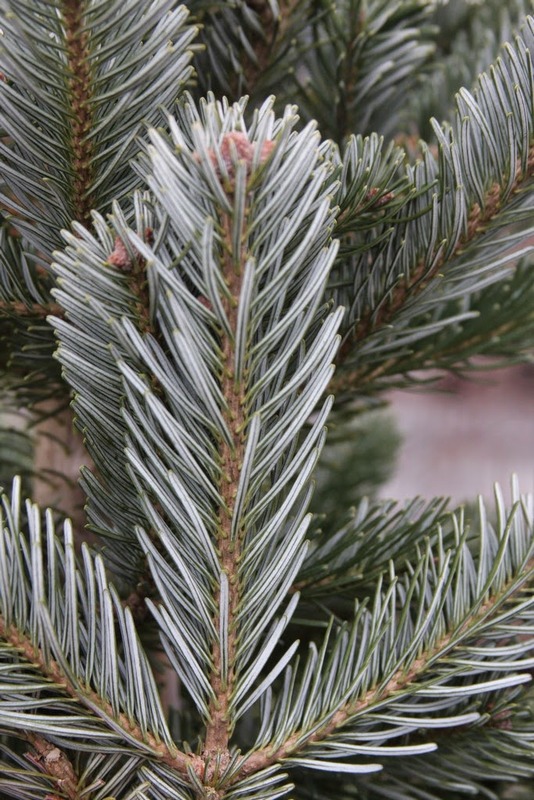 When he visited he could see that I was already into unusual coniferous species, and since I was of Germanic origin, that sealed the deal for his generosity. 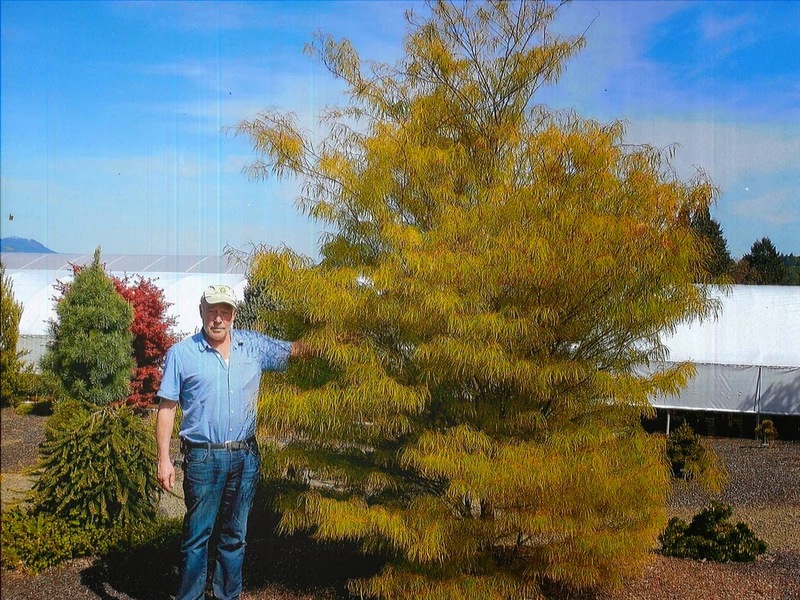 When I toured Holland and Germany in the year 2000 with the American Conifer Society, we spent a partial day at the Bruns Nursery. 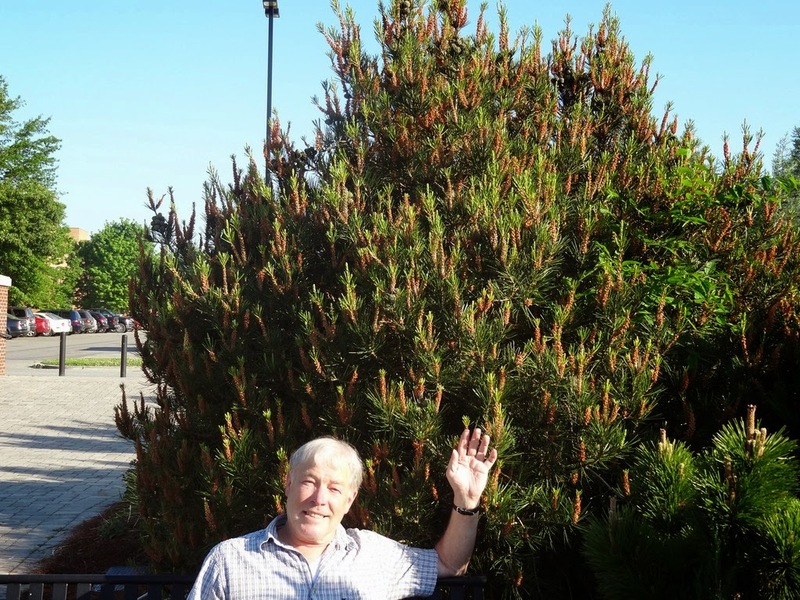 The current CEO was approximately my age, and he ran the well-known European supplier of large landscape specimens. 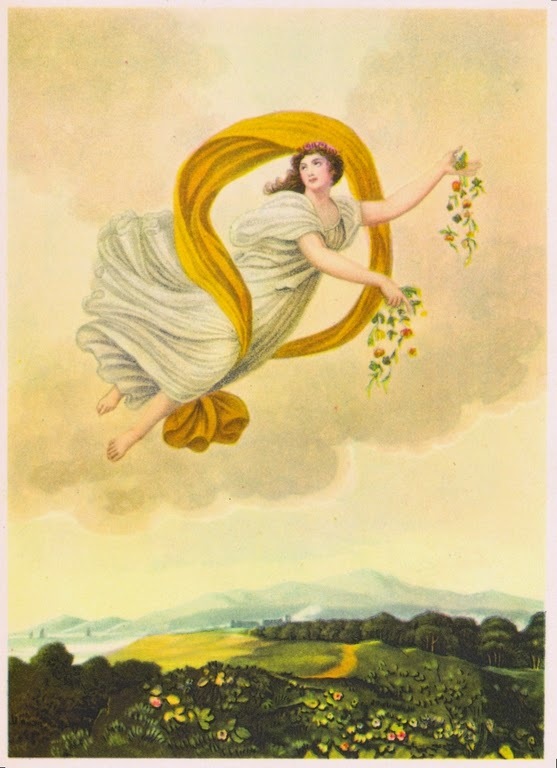 I asked Herr Bruns, if on our tour we would be able to see the original 'Pendula Bruns'. I was shocked to get a blank look, for he was not familiar with the “narrow weeping tree” that I was talking about. Today we grow a fair number of the cultivar, even though the Son of Bruns doesn't know anything about it. I won't be passing my nursery onto my son or daughters – they are too smart for that – and I suspect that my original introductions will eventually be razed for a mobile-home park or a new Wal-Mart store. 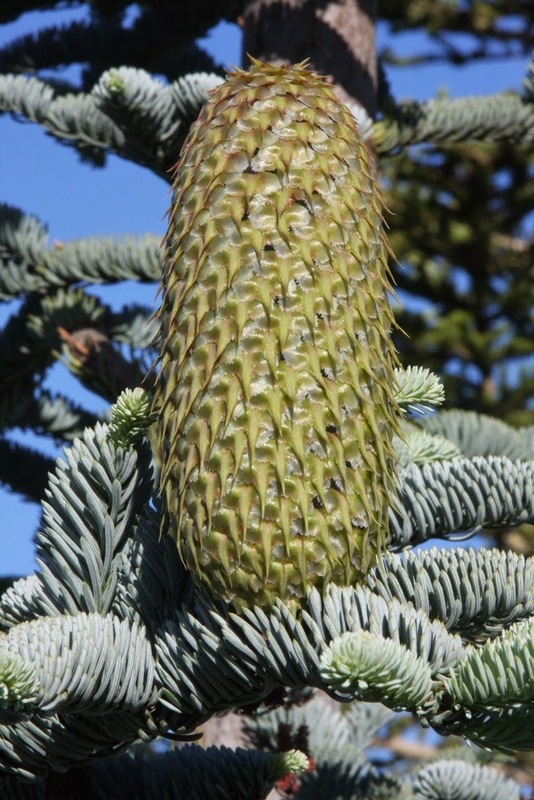 The same German professor also sent me scionwood of the recently crossed (at the time) Abies koreana x lasiocarpa, which, if it has a hybrid name, I am not aware of it. 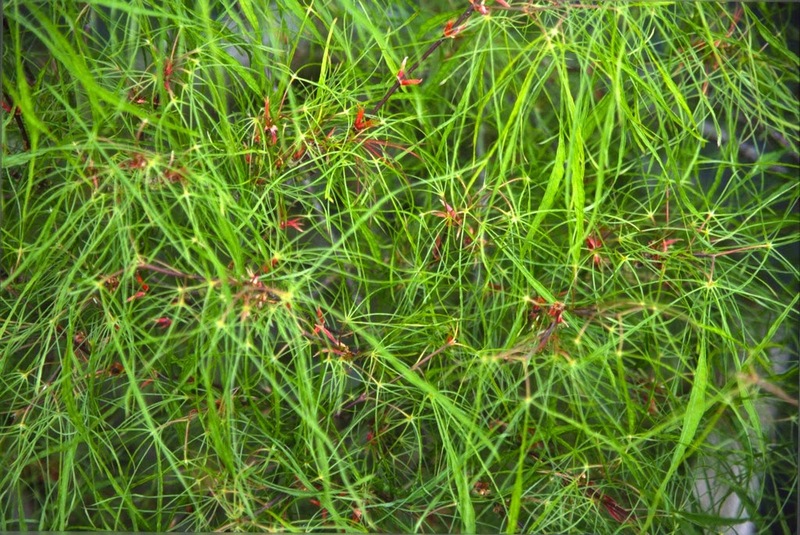 The cross has bluish-green foliage, but in growth habit it is intermediate between the two species. 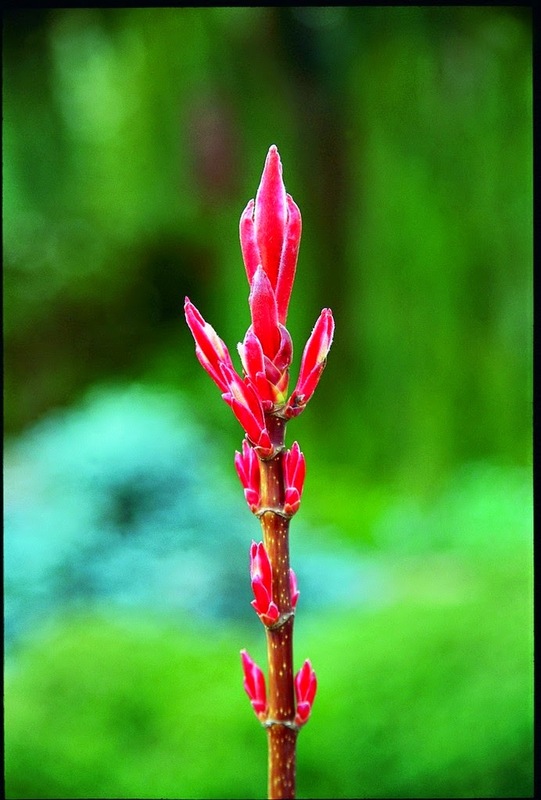 I won't go so far as to pronounce the hybrid to be “better” than either of its parents; it's rather just another example of human-induced promiscuity with the plant world – to some a cul-de-sac – but I think the cross is handsome. You are welcome to visit and judge for yourself, and you'll also see the “largest of its kind” in America. 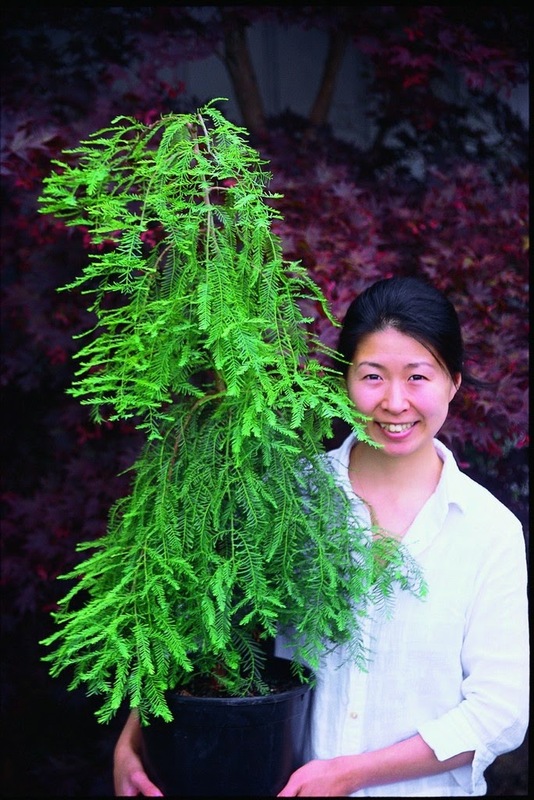 My Metasequoia glyptostroboides 'Miss Grace' is bigger than yours too. I have the tallest of the original six grafts, and also the most broad specimen. 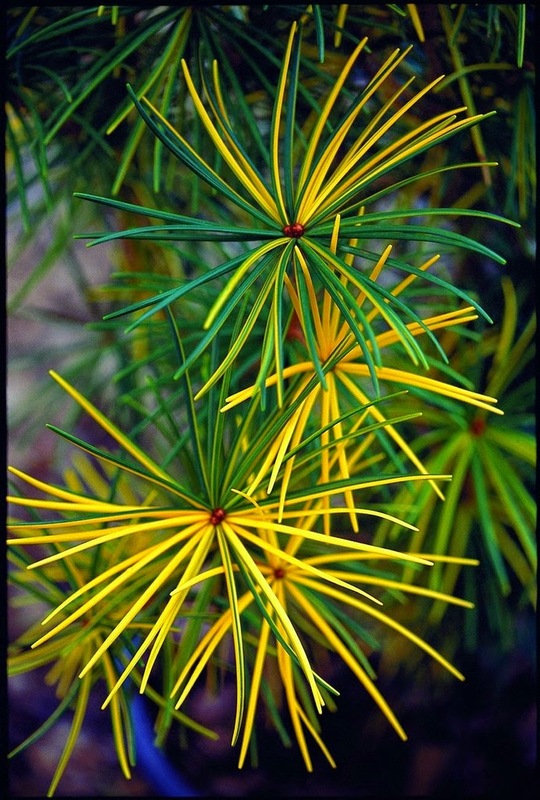 It was discovered as a witch's broom in New York state and was labelled as “prostrate witch's broom.” A year or two after we propagated them, the crew staked them up when my back was turned. In dismay I groaned that they were supposed to be prostrate, and not grown upright. I never did get around to destaking the plants, and later grew fond of my narrow weeping trees. But each one assumes a different growth habit, with some more narrow than others. In the photo above my wife is holding a pot of the now tallest 'Miss Grace', and the combination of her with the plant led to the naming. I like the name “Grace,” which I suppose originated from my youthful fascination with Gracie Allen, the comedienne and wife of actor George Burns. I wanted to name my youngest daughter Grace so I could call her Gracie, but my wife favored Saya. 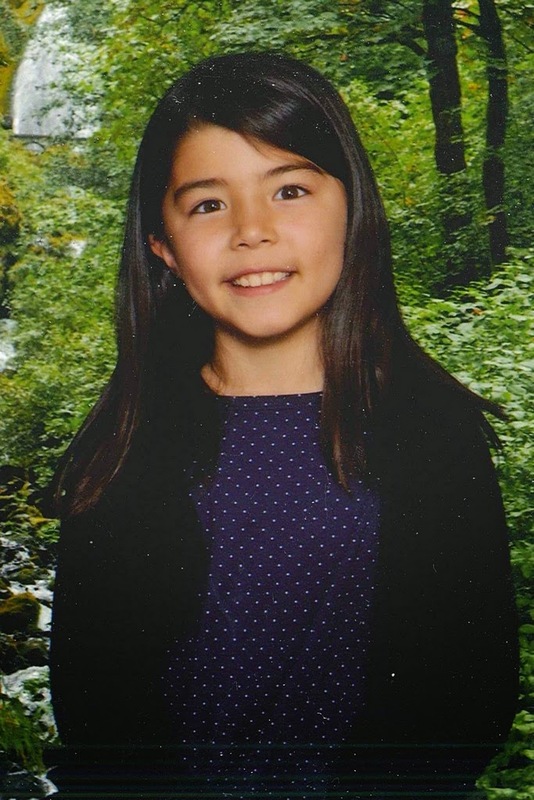 Her name translates from Japanese to a “meadow with flowers,” so that's cool, and Grace became her middle name.